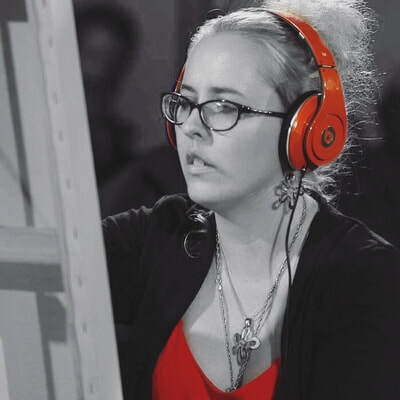 ​A former Costume Designer now a Freelance Artist and Marketing Manager for a mental health arts charity. I grew up in Thailand which was where my love for all things colourful and kitsch began. Also due to a lack of English speaking cartoons as a kid I ended up watching my parents huge film collection, with the first film I remember being Terminator. Possibly not the wisest choice for a toddler, but I loved it and have a massive nostalgic fondness for anything 80’s and 90’s because of this! My products range from stickers, jewellery, colouring books and greetings cards to upcycled retro homewear. I also draw custom pieces, so if you have a deep seated love for your husband, hamster or home and want a reminder of how unique they are get in touch!